Chobi Soft Moist Koi Food Mix is a blend of Shrimp, Fish, Kelp, Montmorilionite Clay, Squid, Probiotics, Vitamins and Minerals. 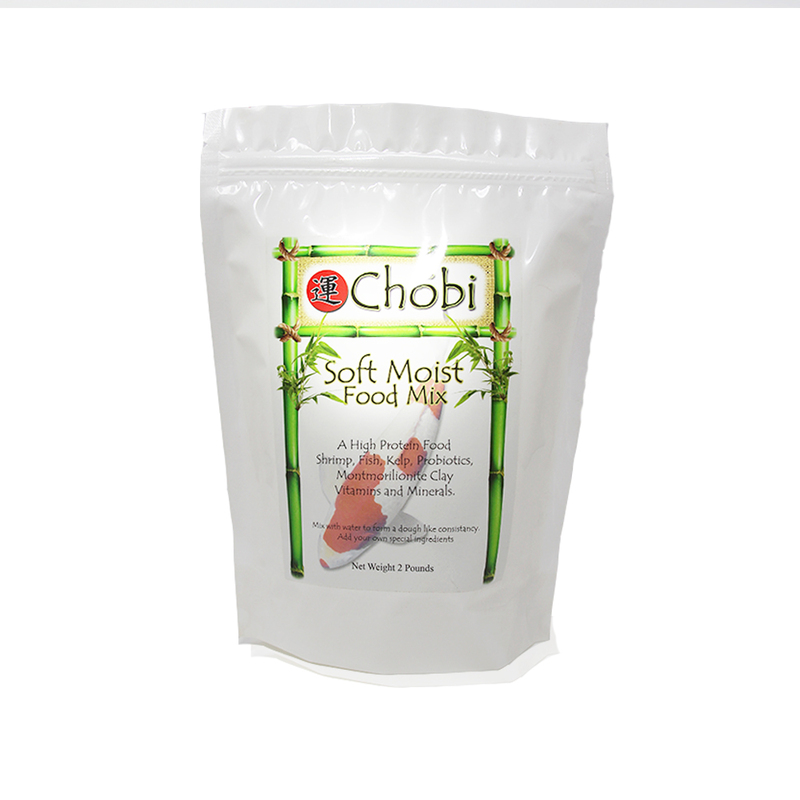 When mixed with a small amount of water, a dough like consistency is made and readily enjoyed by Koi, Goldfish and other Ornamental Fish. 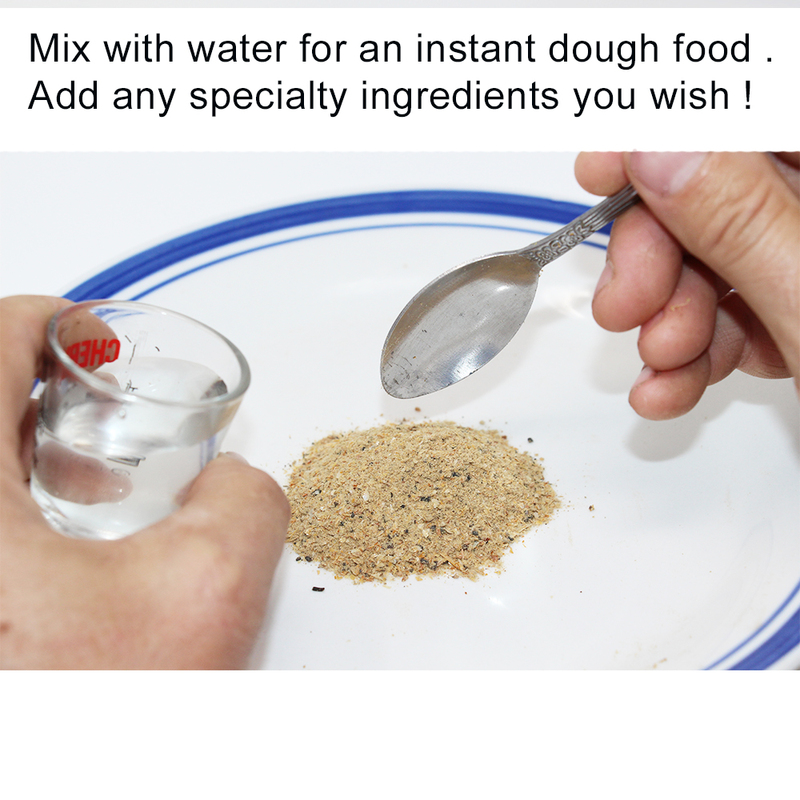 Combine this mix with your favorite color enhancer's or other special ingredients. This is a great way to administer oral drugs to ornamental fish. No Cooking Necessary. 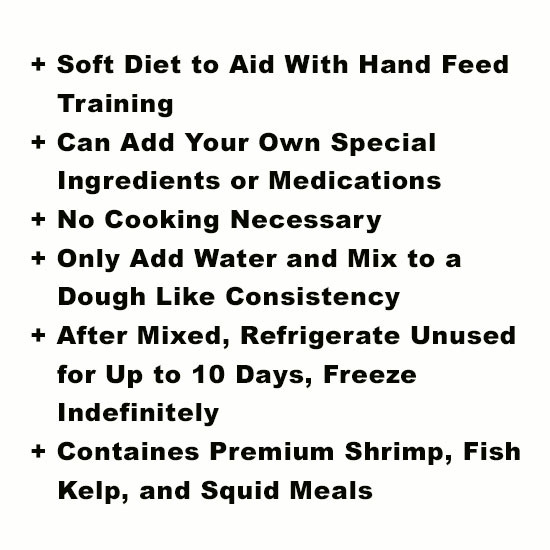 This Koi food is a great way to train hand feeding. 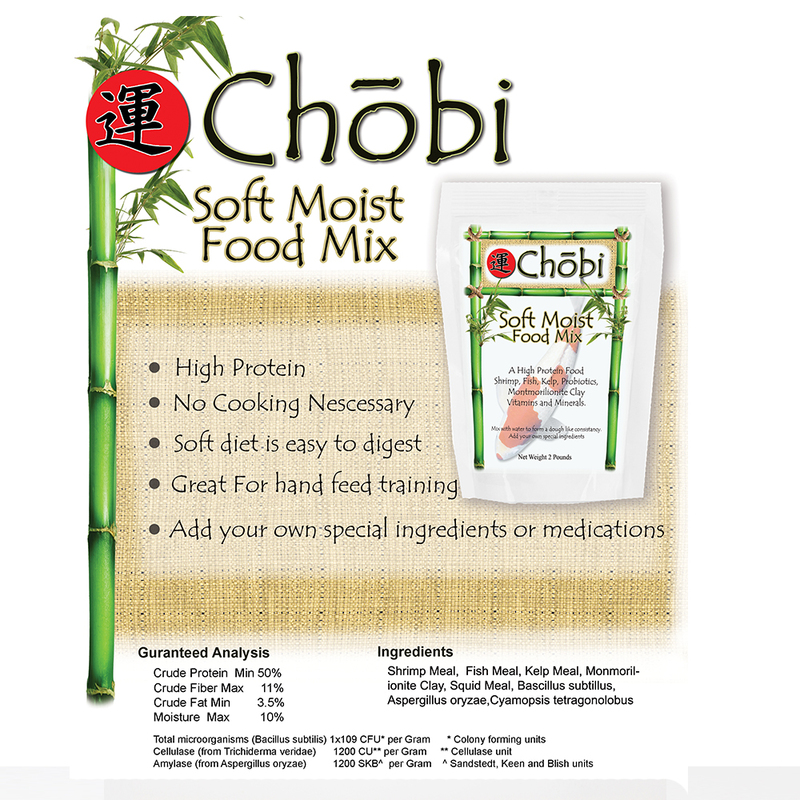 Chobi Soft Koi food ...treat your Koi well!